"We were surprised, serious accusations were brought forward, including accusations of an attempted assassination of a journalist who did not feel safe enough in Russia due to his statements and moved to Ukraine. This should be investigated," Seibert told a briefing. Reports of Babchenko being shot dead next to his apartment emerged late on Tuesday. Many international organizations immediately offered their condolences and urged the Ukrainian authorities to carry out a thorough investigation. However, on Wednesday, the journalist made a surprise appearance at a press conference organized by the Ukrainian Security Service to announce that his assassination was staged in order to foil a real attempt on his life. 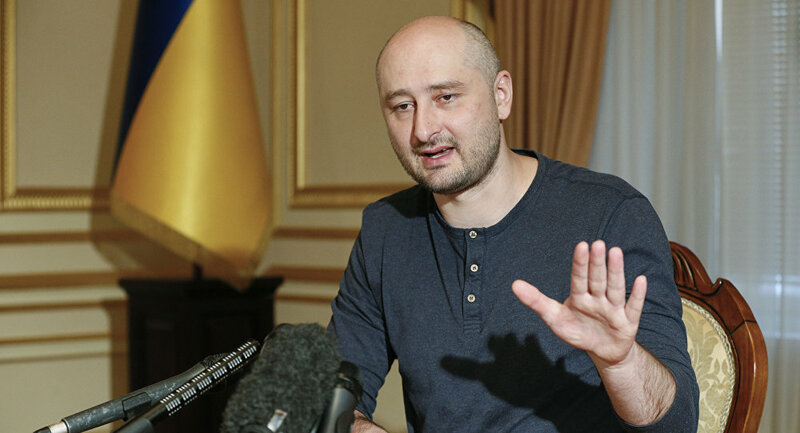 Russian Foreign Ministry spokeswoman Maria Zakharova called the fact that Babchenko was alive "the best news," though noting that the SBU operation was used for the purposes of propaganda. Reporters Without Borders Secretary-General Christophe Deloire condemned the operation and expressed a similar stance, arguing that it was used as means of information warfare.